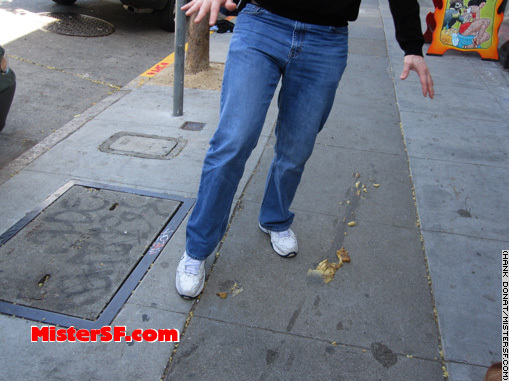 Looking for Lucy, wherein Mr. and Mister SF celebrate America’s late comedy legend, Lucille Ball (1911-1989), the world famous wacky redhead who would have been 99 years old today. 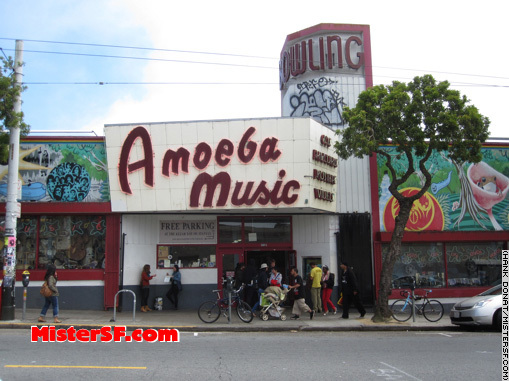 Our search starts here, at Amoeba Records, 1855 Haight Street. 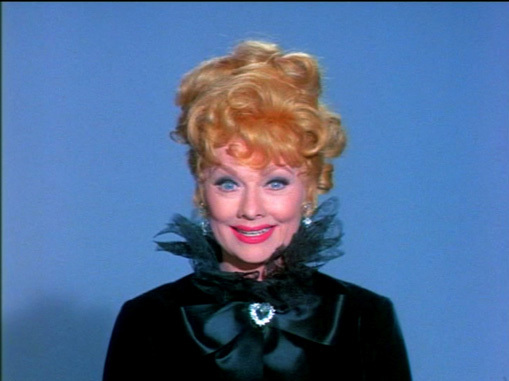 Recent releases from the works of Lucille Ball include DVDs of The Lucy Show and Here’s Lucy. 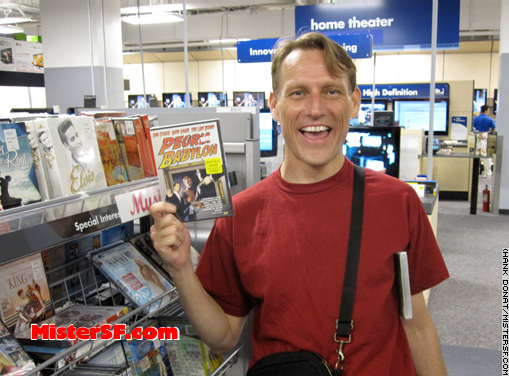 In all fairness, you might also find a copy of Peoria Babylon, as we did at Amoeba and at the Best Buy, 2675 Geary Blvd. 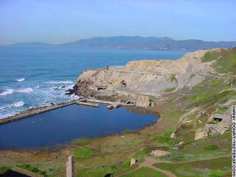 Directed by Steve Diller, Peoria Babylon includes an appearance by Mister SF himself as a coffeehouse poet. The 1997 comedy starring David Drake and Ann Cusak is just okay. Let’s say, it’s no All American Girl. However, it does provide our story with its few degrees of separation, as Mister SF was in Peoria Babylon with the illustrious SF comedienne Phyllis Diller, who was in a couple of things including a Bob Hope tribute with… Lucille Ball. Peoria Babylon: Lucy Ricardo would be proud – I got in the show and played the scene from upstage. Lucille Ball. She was known to most of us as her TV character, Lucy McGillicudy Ricardo Carmichael Carter in 500 sitcom episodes and specials from 1951-1974. There was very little television in the 1970s, and certainly nothing to compare with today’s plethora of portable media, cable, and online distribution. Because Lucille Ball made so much television and had the foresight, along with her husband Desi Arnaz and other partners, to film episodes for syndicated reruns, her presence was pervasive in the lives of kids in the 1970s. My best friend from 6th grade, who was the chubby girl and therefore likely to pair off with the gay kid, now says it best about Lucy: “She was there for me.” Lucy taught us to have fun and most of all to dare to take our shot. It’s a valuable lesson. Off screen, when her marriage to Desi Arnaz failed – I Love Lucy had been created to save it and didn’t – Lucy got on with her life and on with her work. 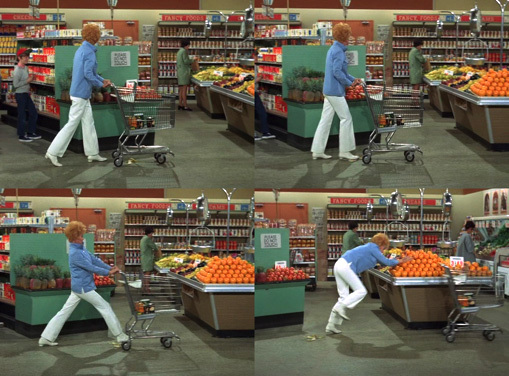 In Lucy Loses Her Cool from Here’s Lucy’s third season (1970), the actress executes a flawless banana slide. It’s just one of many sublime moments in the series, which seen in 2010 reveals itself as squeaky clean, multi-layered nostalgia for fans of slapstick comedy. Highly rated despite being already anachronistic at the time it was first aired, with its vaudeville numbers and endless guest stars from the senior Hollywood lineup of its day, Here’s Lucy literally had one foot in the past and the other on a banana peel. 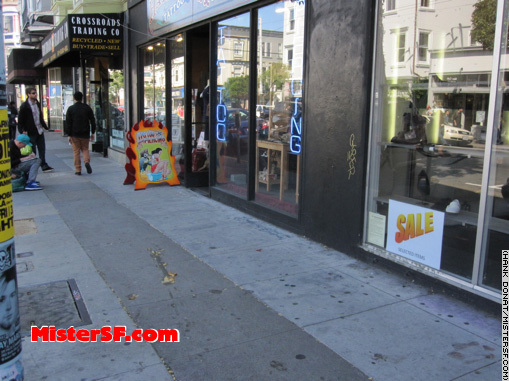 We found this banana slide on Haight Street near Ashbury, not far from the Amoeba record store.